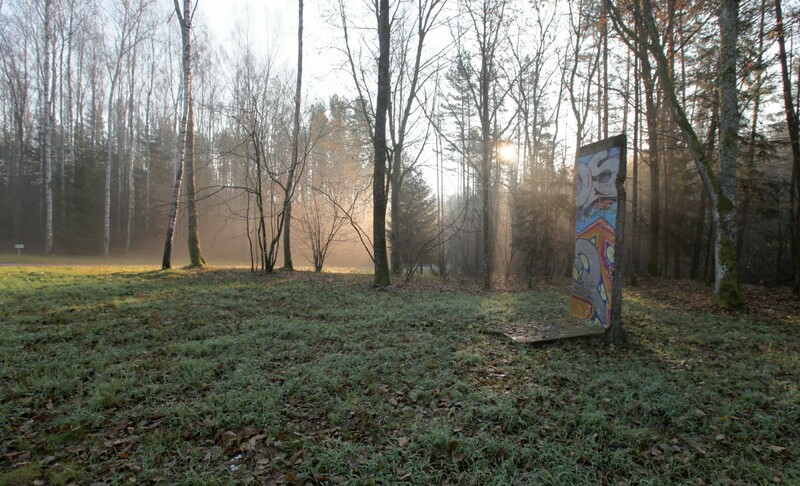 Europos Parkas is an open-air museum in the Lithuanian capital Vilnius. Covering an area of 55 hectares, the sculpture park, founded by Gintaras Karosas in 1991, shows more than 90 works of artists from 30 countries. As host of international sculpture symposiums and exhibitions of modern sculpture, Europos Parkas is today, according to experts, one of the most interesting open-air museums in the world. On the 20th anniversary of the fall of the Berlin Wall the German embassy in Lithuania and the Goethe Institute donated a segment of the Berlin Wall to the city of Vilnius, which received a honorable place in Europos Paraks – as a memorial for a united Europe, independence, and the community of its countries.